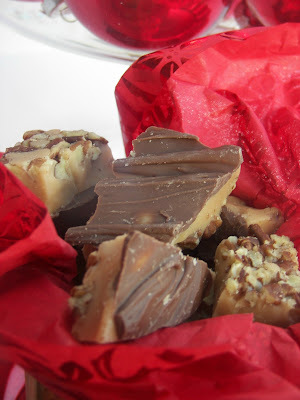 Welcome to Red Couch Recipes to Lemon Week. Grab yourself a glass of Lemon Water. I understand some you have been having extremely warm weather; here in Utah, we have had rain and cool weather. In fact it rained while I was setting up this table. I also have yellow bubble glasses on the table tonight. Here's a view through the lemon yellow glass. A view of the stack...and a peak, albeit not very good, of my new silverware from World Market. I was thrilled to go to one when we were in Idaho last week. When I was first out of college I used to frequent a Cost Plus to furnish my cupboards -- one dish a week! I love World Market! 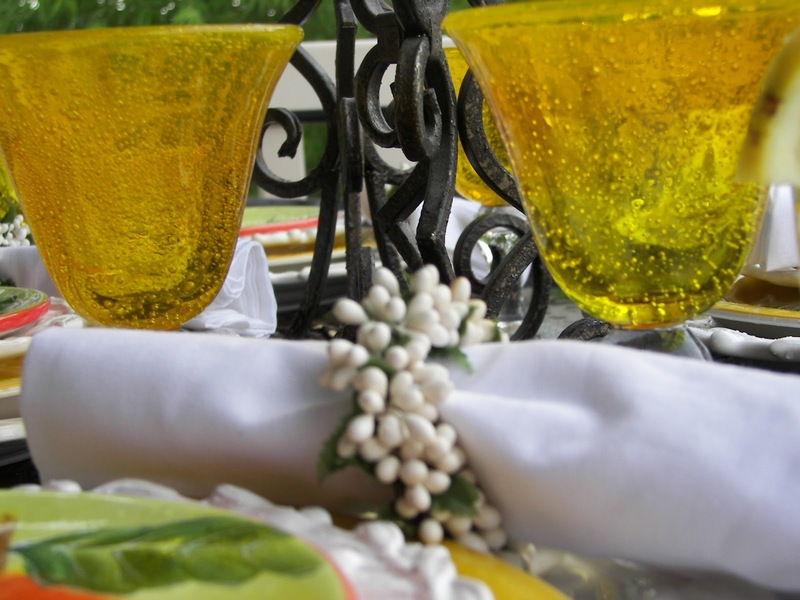 A picture of the placesetting...I bought the lemon/pear salad plates for my birthday last year. I received the yellow dinner plates for my birthday this year. A view of the whole table. 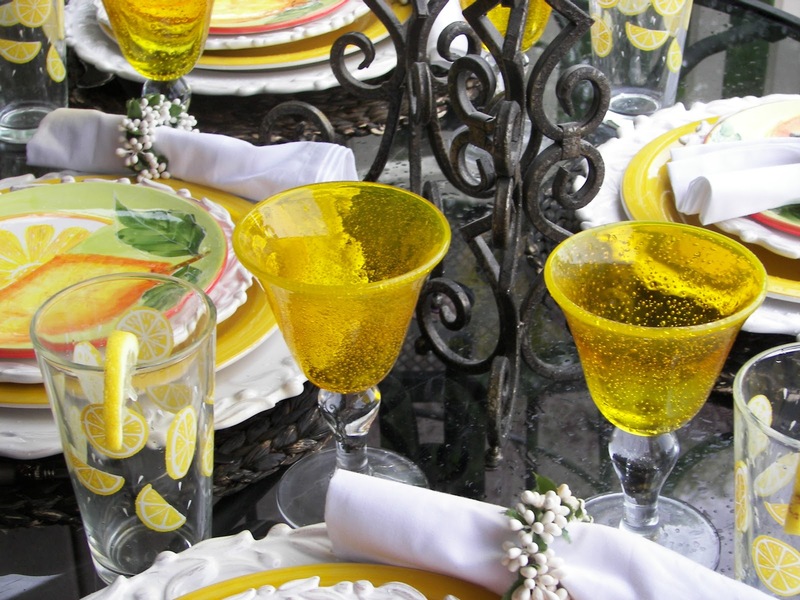 I hope you enjoyed my Lemon Love Tablescapes and hope you will drop by for more posts during lemon week. Here are some other lemon posts you might be interested in. So very refreshing! We have had temps up to 103. I love your dishes and stemware! 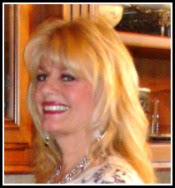 Thank you for recently visiting my blog and leaving a comment, I truly appreciate you stopping by. 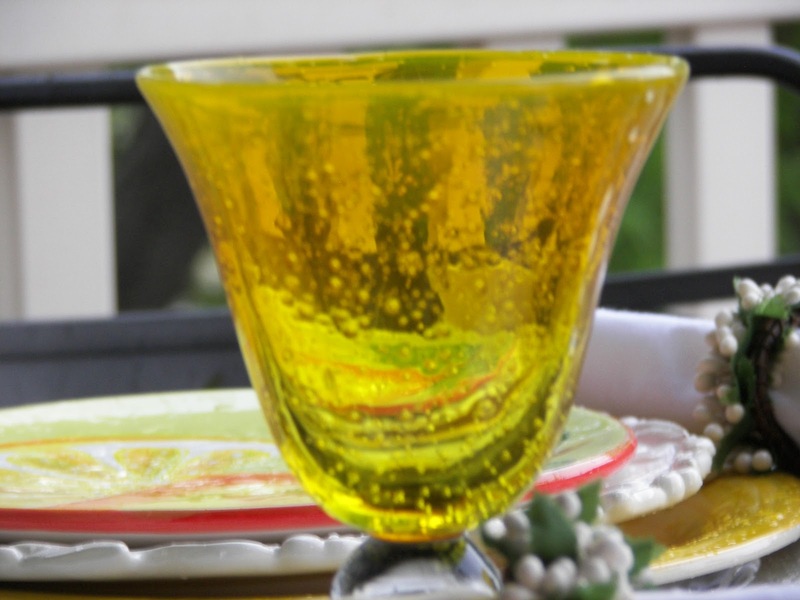 Yellow is just so fresh and bright, extra pretty on your summer table Joni. That cupcake and those cookie are making me pucker too! You say lemon and I come running! Beautiful table! I really love the bubble glasses! I have been looking for some with no luck. Rats! I'm heading to that pancake post. I somehow missed that one. 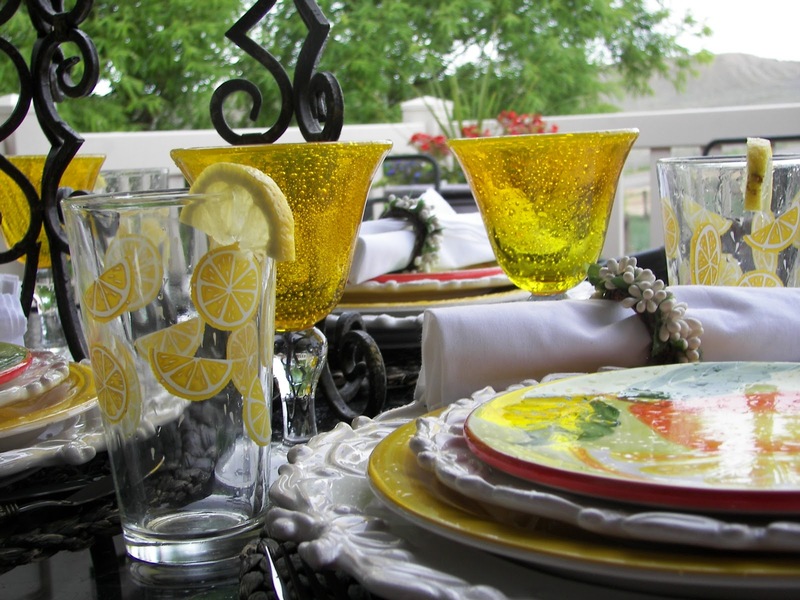 I really do love your lemon love tablescape! I could leave it set up on my kitchen table, and it would look perfect there. It's so bright and sunny and HAPPY. Oh good grief. I thought by the picture that those were pancakes. LOL! They are cookies. I'm still heading there. I'm just laughing at myself more as I do. 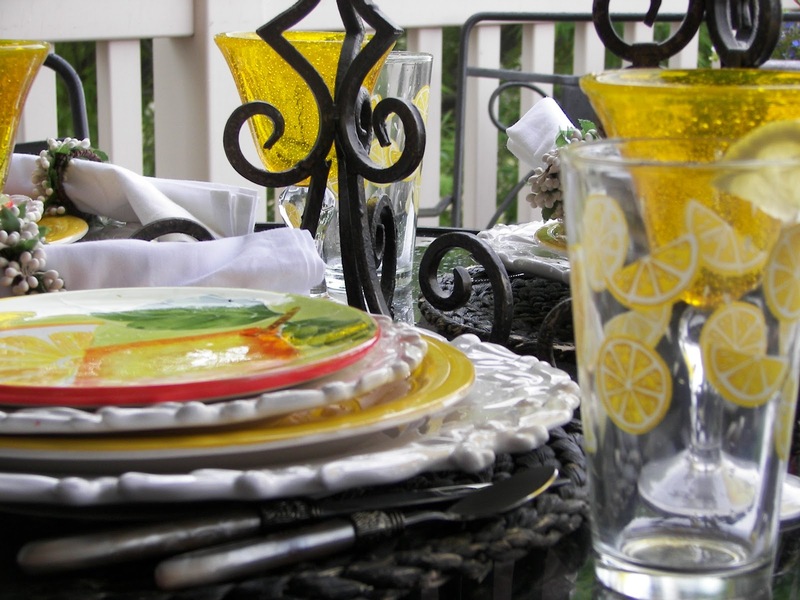 How pretty the yellow bubble glasses look with your lemon-print glasses and the wonderful lemon plates! So cheerful! What a bright and pretty table. I love the lemon theme. Hi Joni, I love your salad plates. 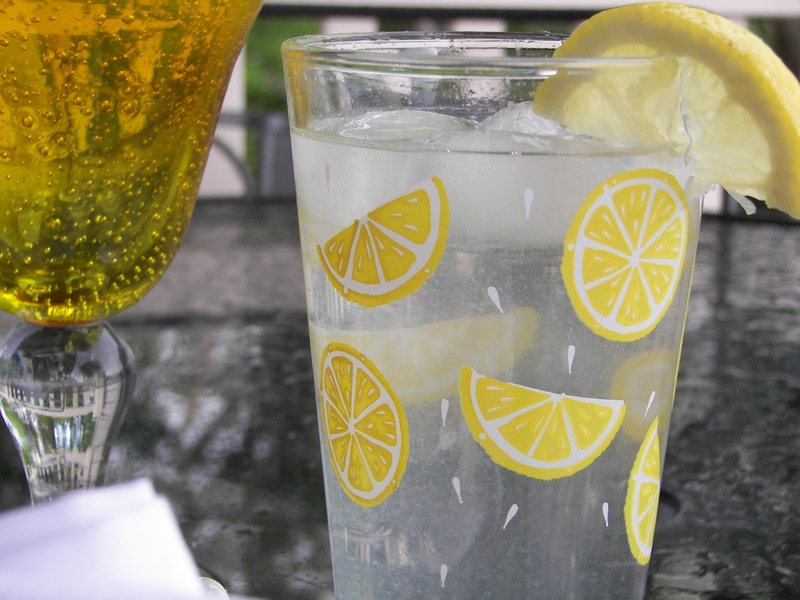 I really like your lemon tumblers too and a nice cold glass of water with lemon sounds very refreshing! What a great table! I love all the lemony yellow. Your dishes and glasses and beautiful! 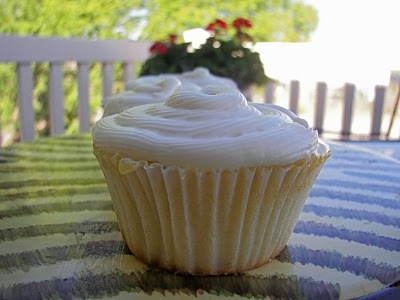 I love lemon, I'm going to try your recipes too! Thanks for sharing! What a wonderful concept! An entire week dedicated to lemon posts! I may have to borrow your idea at some point. Your table is (dare I say it?) very lemony! LOL! Love those yellow goblets. 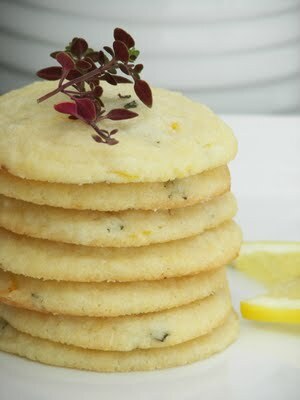 I've printed out the recipe for the Lemon Thyme cookies. They sound delicious! I['ll be checking back this week for more lemon love. So refreshing and inviting. I am craving your lemon cookies and I have fresh thyme growing. Great tablescape. I like World Market too! So pretty -- makes me want a large glass of lemonade. Love the pretty lemons on your table. I've never been to world market. Great table. I have a lemon themed table in the works also. Love the bubble glasses. Beautiful as always. For some reason I din't think you lived in Utah...don't know why. If you are ever in the West JOrdan area stop in Anastasias's Attic at Gardner Village and see me. Love it! Yellow is such a cheerful color. Just a gorgeous table Joni. 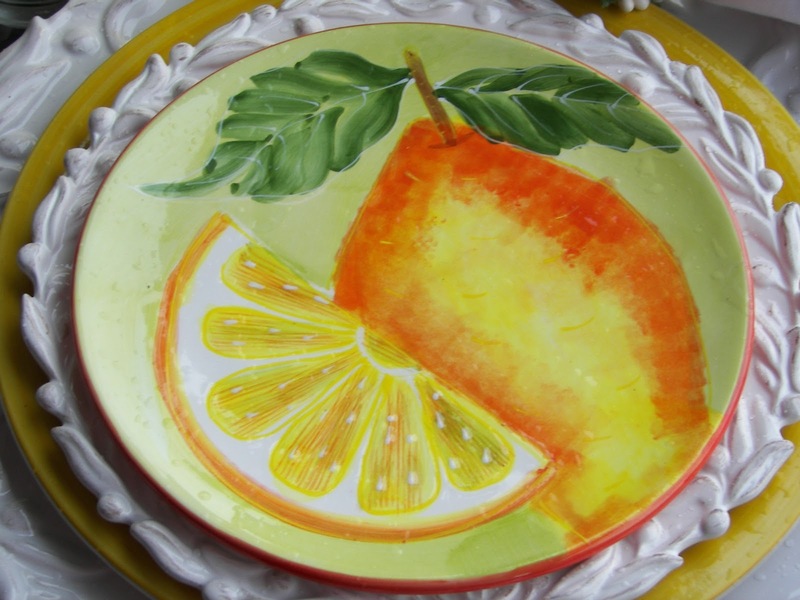 The yellow looks so pretty with the white and thoae fun fruit plAtes are great for Lemon Week.